Shopaholic? Me? – Page 2 – Clothes, Shoes & Jewellery .. what else could a girl wish for? I thought this was interesting. I noticed that mesa boogie from musicians friend were only available as used products. I would have expected them to also be selling new products but every mesa boogie available was used. It made me wonder why but honestly I am still stumped. There are only 2 reviews and they are good reviews. However, it leads me back to the question why are they not selling new items too? Ok perhaps Music Lessons are not the most tangible thing that you buy but none the less it is a service that you purchase. Which makes me think about the way we approach purchasing of lessons. I know my attitude to finding a harp teacher to a piano teacher differed significantly. With the harp teacher, my son took to a particular person and we wanted her. It took a wait but we were lucky and he is being taught by her. With Piano it was a recommendation and we are happy that we followed it. However, let us say that you move somewhere and do not yet know anyone. How do you go about it? How do say music lessons in Woodland Hills at guitar center compare to Music Lessons at Juilliard or Music lessons at my son’s primary school or say compared to lessons in France, Italy or the UK? I do not know if you have ever heard of Bolero Drinks. They are a powdered cordial. You purchase a packet and then mix it with water and voila – an instant flavoured drink. So here is the low down on it. Huge range of flavours from Almond to Blueberry! Bolero Drinks Ltd, Unit 2, Toat Copse, Bashurst Hill, Horsham, RH13 0PA. Use a large letter stamp and get 3 samples. Offer is subject to one per household and to UK residents only. Don’t forget to tell them that you read about Bolero here! When you search for an item and come up with the message below, you know you probably have found a good and popular item. Mind you, it could be because I am not based in the USA! 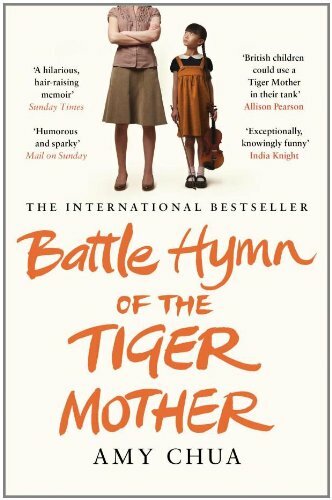 Battle Hymn of the Tiger Mother is not a book for the faint hearted. Written by Amy Chua based on her life experiences, it gives an insight to what it means to be a Chinese mother. If you thought we had it hard as parents or as children or that our children have it hard, then you must read this book and regain everything into perspective. If you think you have what it takes to help your children succeed, then read this book because it really will bring things into perspective. My eldest son has started having the odd disco at school. This is obviously making me feel old but the kids seem to love it. They run around rather than dance but they have a great time none the less. The school uses some great Venue Lights, a DJ and lots and lots of glow sticks. The glow sticks are given out as prizes which makes them all the more valuable in the kids eyes. The atmosphere is fantastic and all it boils down to is a large room with music and some fancy flashing lighting. Now how do I feel young again?